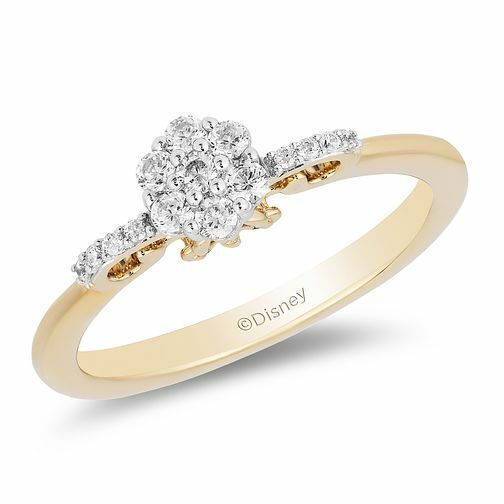 Crafted in gorgeous 9ct yellow gold, this divine diamond ring is inspired by Cinderella as part of the Enchanted Disney Fine Jewelry collection. A cluster of dazzling round diamonds form a captivating centerpiece, complimented with stone set shoulders. The intricately cut-out gallery presents a pumpkin carriage inspired design, completing a ring fit for a princess. The total diamond weight of this ring is 0.25ct.